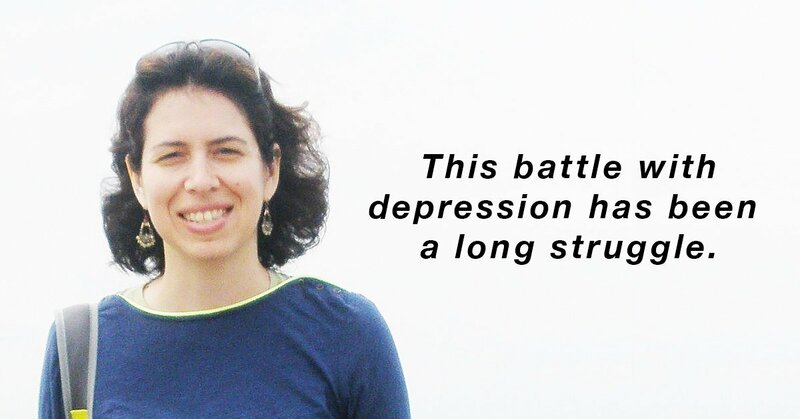 This is part one of Miriam’s story about battling depression. Follow this link to read part two of her story. It felt like I got hit by a truck. That basically sums up my experience battling depression. Some days, all I wanted to do was stay in bed, curled up in a ball. At night, when one is supposed to sleep, I could not feel relaxed enough to slumber. I would try desperately to fall asleep. I would count sheep, change positions, beg G-d to grant me some relief from my insomnia. Each night was a different experiment with what would help me doze off. At times I would use Melatonin. Other times it was Ambien. There were even a few instances when my mother sang me to sleep. The experience was emotionally and physically draining. 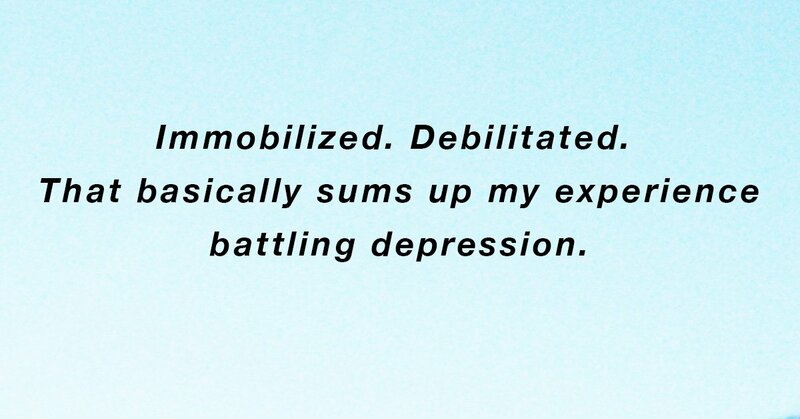 Not only was I dealing with the symptoms of my depression, I was walking around exhausted. My brain was fogged; I could not think clearly. Being in this state, exasperated my already vulnerable existence. At times, I felt so desperate that I would bang on the bed in aggravation. When I could not fall asleep I would feel panicked, partly because I did not believe my difficulty with falling asleep would end and that I would ever be a normal, functional human being again. There were some nights when I would actually fall asleep, but I would wake up as the sun was rising. My body and soul ached for more rest. Waking up early would be welcome if I was relaxed about it. However, during this period, I was very anxious about having too much time on my hands without anything to do. 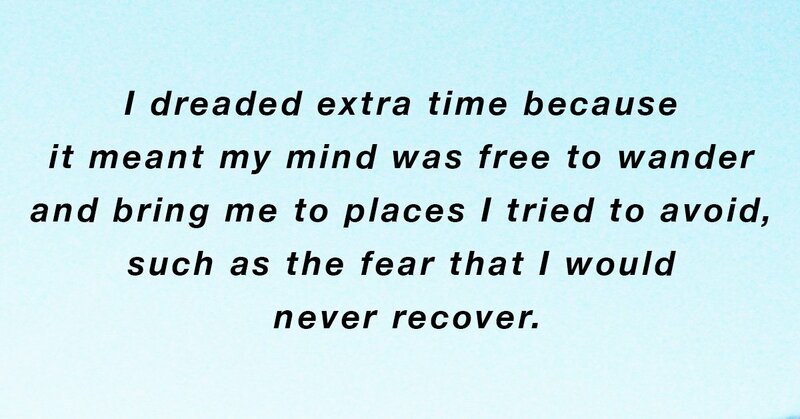 I dreaded extra time because it meant my mind was free to wander and bring me to places I tried to avoid, such as the fear that I would never recover, that I would be dependent on my parents forever and have no life of my own. 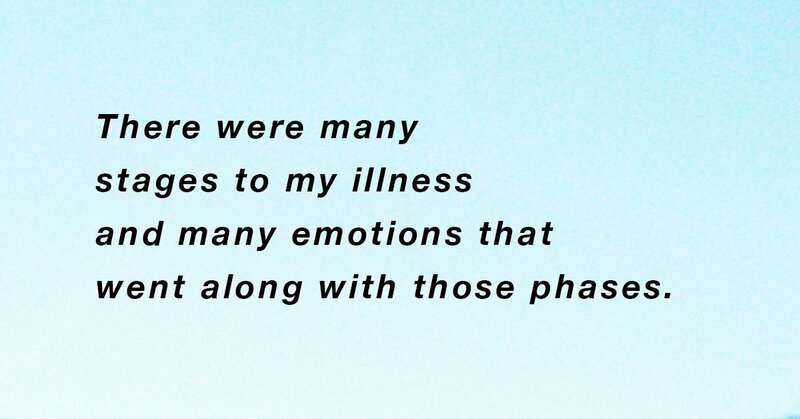 When I think back to my first encounter with my illness, it actually did not start with sadness. It is difficult to describe how I felt. I was behaving sort of odd, making irrational decisions and being disinhibited about my reactions to people. At work, I would agree to come to a meeting and then intentionally not show up, while rationalizing the action with a reason that only made sense to me. Of course I thought everyone else was crazy! As a matter of fact, I lost my job because of my erratic behavior. At the time, I worked in a school. My interactions with the principal were disrespectful and self sabotaging. Even before the onset of my illness, we did not have a very congenial relationship. However, the illness caused me to lose my inhibitions and interact with her in a brazen manner, which only escalated our already sour association. I did not fully absorb or accept this fact until I started to recover from my illness. Actually, I was not let go immediately. I was instructed to spend the rest of the school year at another location, where I would not be interacting with students. At the time the principal ordered me to do this, I was in the midst of testing a student. In the middle of the assessment, the principal told the girl to go back to class and told me that she did not want me to be alone with a student. I felt sad for the student who seemed confused and shocked and humiliated that the principal would doubt my integrity in working with children. In all the turmoil that I was experiencing my treatment of children remained of the highest standard. At this other location, I cut myself off from the people there. I remained there for three months without anyone asking me about my welfare. It was a terribly isolating experience. Losing my job was a blow to my identity. I hated telling people that I was not working. It felt like my footing was taken from under me. An aspect of my life that gave me confidence was robbed from me. Even after I recovered, there were repercussions. When I would apply to a job, sometimes on the application it would ask if the applicant was ever fired from a job. I felt like I was hiding a dark secret, that when discovered, would be embarrassing as well as detrimental to finding employment. What made it worse is that I carried some guilt for it. I could not help, but blame myself for the dismal situation in which I found myself. The experience was actually quite traumatic. Because I was fired for my unpredictable behavior, which was a result of my illness, I (and those who supported me) felt the school’s action was discrimination. This lead to a trial, where I had to prove, with the help of my advocate that indeed my conduct was due to my deteriorating health. It was obvious from the moment I stepped into the conference room that there was no hope for me to win the case. I felt so unsupported and invalidated. The principal did not even bother to show up, participating in the meeting via telephone. She enumerated all of my transgressions and never acknowledged that maybe they were due to my condition. To me, this made no sense, because the year before my performance was stellar. I still get an eerie feeling when I pass by the building in which the trial transpired. One of the first matters I was instructed to do to facilitate my recovery was to find a job. Instinctively, I called an employer that I had worked for in the past and asked to meet with him. I do not know from where I had the courage to do so. It seemed almost like the idea to do so was divinely inspired. There was no contemplation or hesitation on my part. 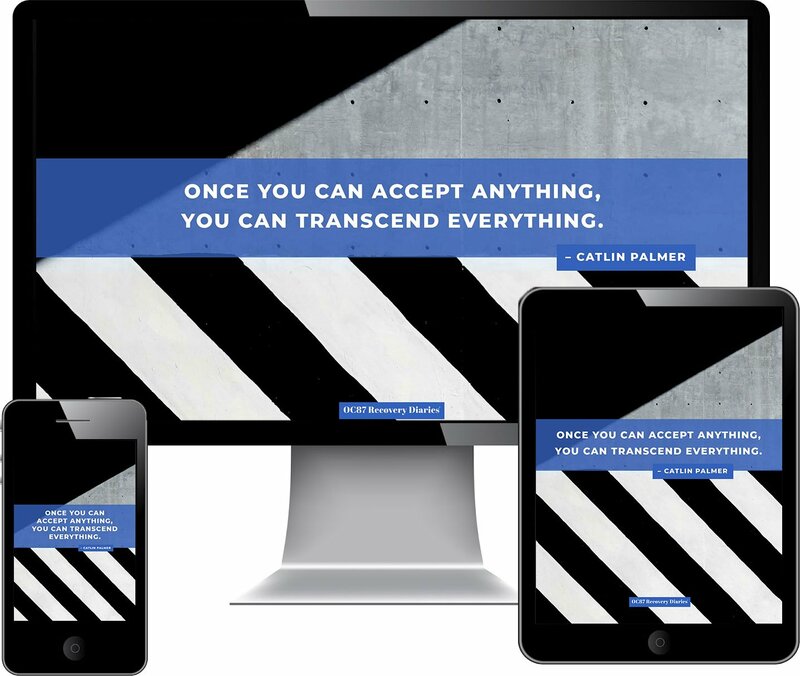 There was an energy deep within me that propelled me to make the phone call. I explained to my former employer that I was going through a difficult time and needed a low stress place to work or volunteer. I felt embarrassed talking about my personal situation and unsure how he would respond. Would he judge me, ask me intrusive questions? However, his gracious response put me more at ease; without inquiry he said whatever I needed, he was there to help. Going back to work at that place was probably THE hardest part of my battle with depression, because I had worked there previously and many of the employees knew me. That first morning, my mother literally pushed me out the front door. It was physically and emotionally difficult to mobilize myself to walk to my car. I was extremely self-conscious that I was not the same person and that my colleagues would be able to discern that something was amiss. That feeling never wore off, but it became less pronounced the longer I was there. It has been a long struggle. 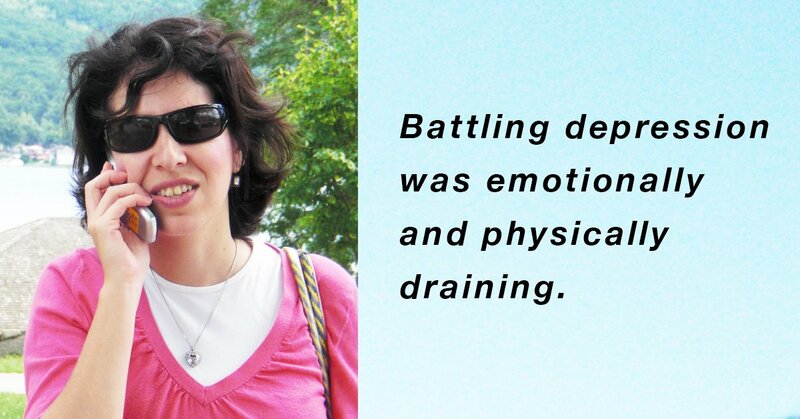 There were many stages to my illness and many emotions that went along with those phases. Some aspects are subtle and others are more blatant and pronounced. I definitely learned a lot from going through this challenge. It has made me a more compassionate, empathic human being. One who has learned to appreciate my parents in a profound way. One who has realized the importance to having good friends, as well as being a valuable friend. One who has discovered the vulnerability of life and people and that even if not everyone has a mental illness, each person can use an understanding heart and a soft soul to make him feel less alone in this journey we call life.